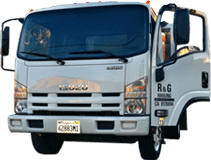 Since 1993, R&G Hauling has been providing reliable junk removal and hauling services to Pasadena, Glendora, Burbank, Arcadia, San Dimas, West Covina, Monrovia, and surrounding cities. Our service-oriented philosophy and attention to detail have earned us thousands of satisfied customers and a reputation as one of the best values for junk removal in the San Gabriel Valley. We haul away unwanted household items, clothes, furniture, electronics, garden waste, yard debris, broken fencing, leftover construction materials, and more. 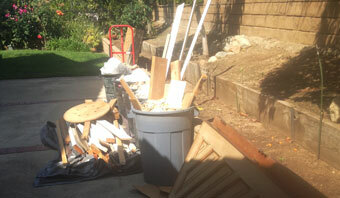 We work professionally and efficiently and are able to complete most junk removal jobs within a few hours or less. At R&G Hauling, all of our customers work directly with the business owner, Rob Brion. His extensive experience allows him to provide accurate, upfront estimates because he has seen it all and knows the right questions to ask to understand your specific hauling needs. He can be counted on to arrive on site with the right number of people to complete the job in a timely manner and take the necessary precautions not to damage anything during the process. We remove and haul away junk from anywhere on your property, even if it's upstairs in an attic or deep in your garage. 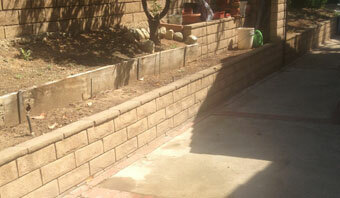 Once the truck is loaded, we will sweep up any leftover trash and dirt, and even hose down the area if requested. We will do our best to recycle as much of your junk as possible and properly dispose of anything that can't be recycled. Our attention to detail and consideration for our customers means you are guaranteed to have a positive experience and be completely satisfied with our service. Call family-owned and -operated R&G Hauling today at (626) 497-8271 to set up a free consultation and receive a competitive quote for junk removal in Pasadena, Monrovia, Glendora, Arcadia, San Dimas, Altadena, Burbank, or other nearby area. We are available seven days a week from 7:00am - 7:00pm and we'll work with your schedule to find the most convenient appointment time. Great company ! I've used them several times. They have a complete knowledge of hauling down to a science. With out question I would recommend this great company.